An artist and poet, Kent lives and works in Staffordshire. Group exhibitions include: Stoke-on-Trent City Museum and Art Gallery; Worcester City Museum and Art Gallery; and the Centre Gallery, Staffordshire. Writing is integral to her work; paper (and sometimes objects) is densely inscribed with text and lettering which is sometimes partially obliterated or obscured. Intricate texts are inscribed in ink, forming columns and 'rivers' of minute writing that cover the entire paper surface. 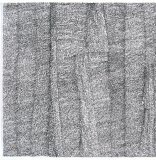 Kent's works have been included in several exhibitions at England & Co since the 1990s, most recently in Wandering Lines: Automatic Drawing to Abstraction in 2011.